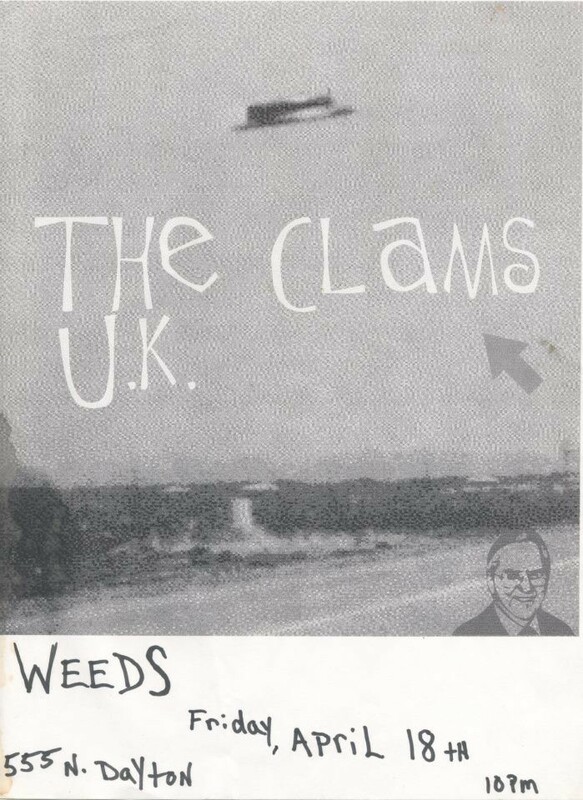 The Clams U.K. were a Chicago rock-cover band in the 90s and early 2000s. 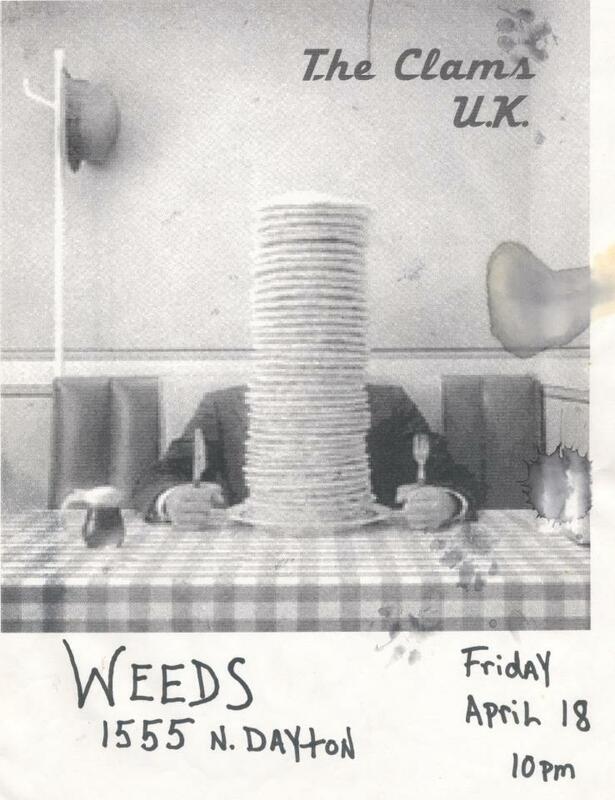 Someone once described them as the kind of cover band that when you were at their show, didn’t seem like a typical cover band and made the songs their own. 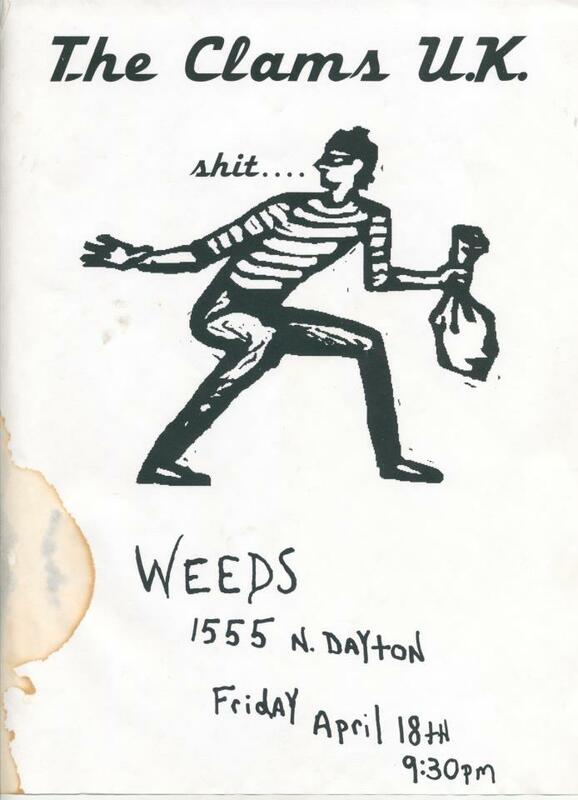 They played most of their gigs at Weeds, a terrific dive bar led by the legendary Sergio, whose painted wooden bust greets patrons when they walk in the door. 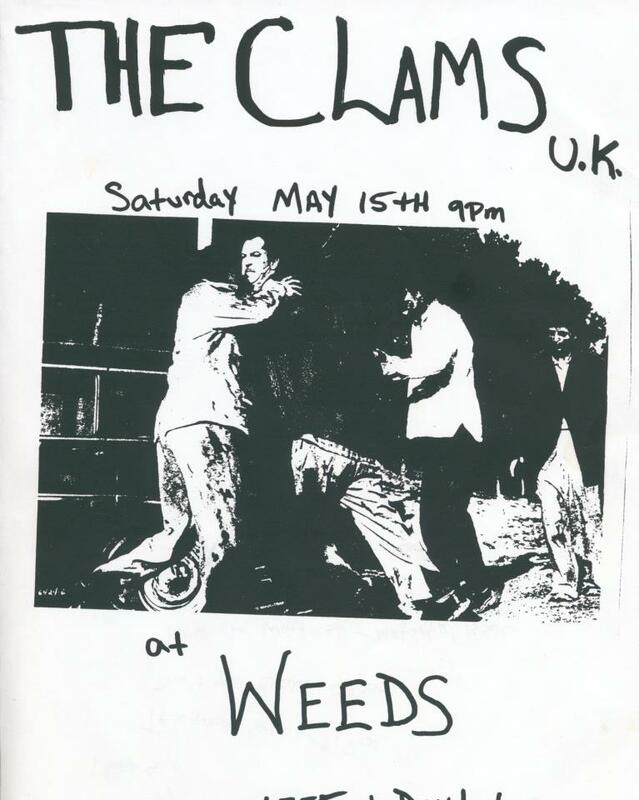 The Clams U.K. had connections with Chicago’s music scene. 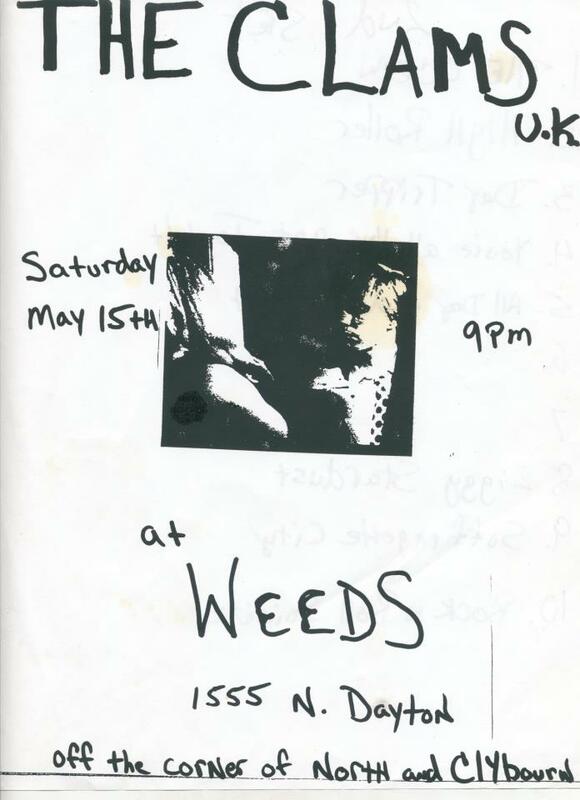 In fact, former Veruca Salt drummer Jim Shapiro sat in with them a few times. 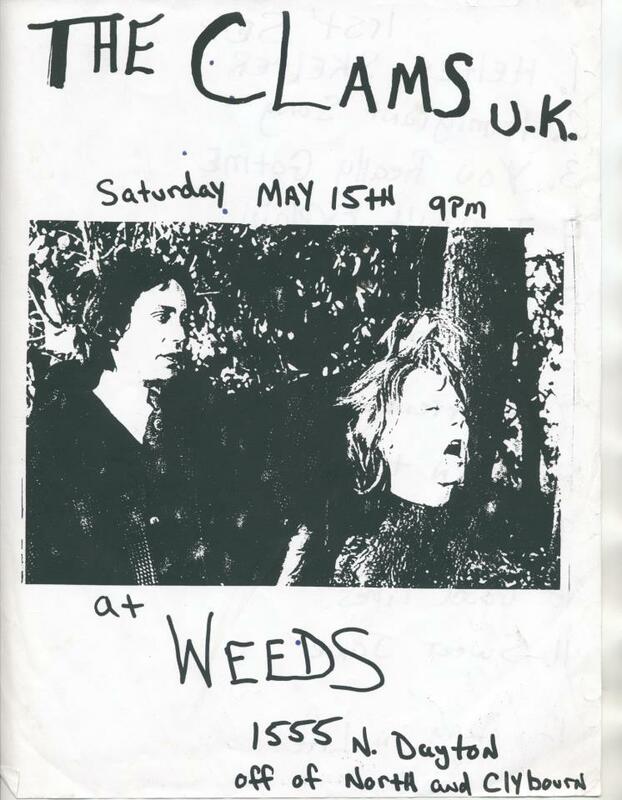 Other musicians were often in attendance at a Clams U.K. show, including Shapiro’s sister and Veruca Salt co-founder Nina Gordon. 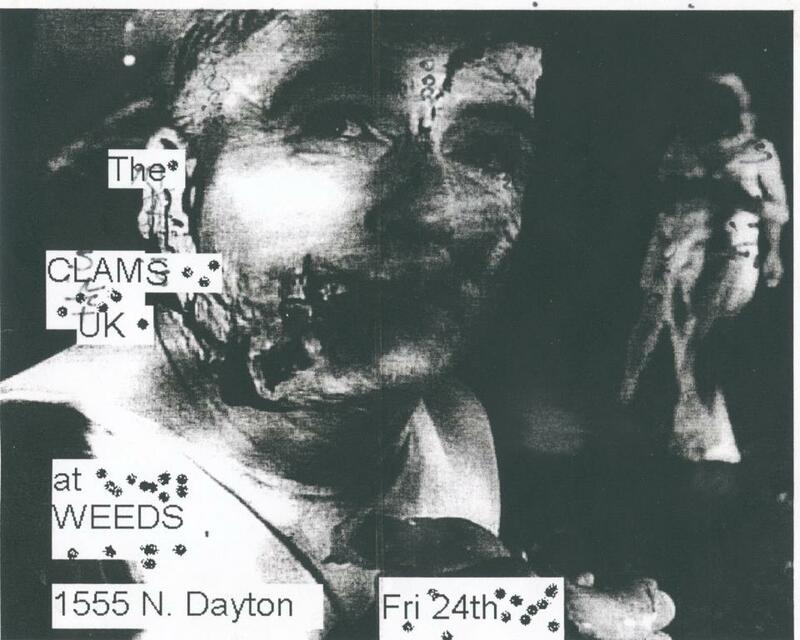 As far as I know the Clams didn’t record any music, but they made the coolest show flyers in the city. 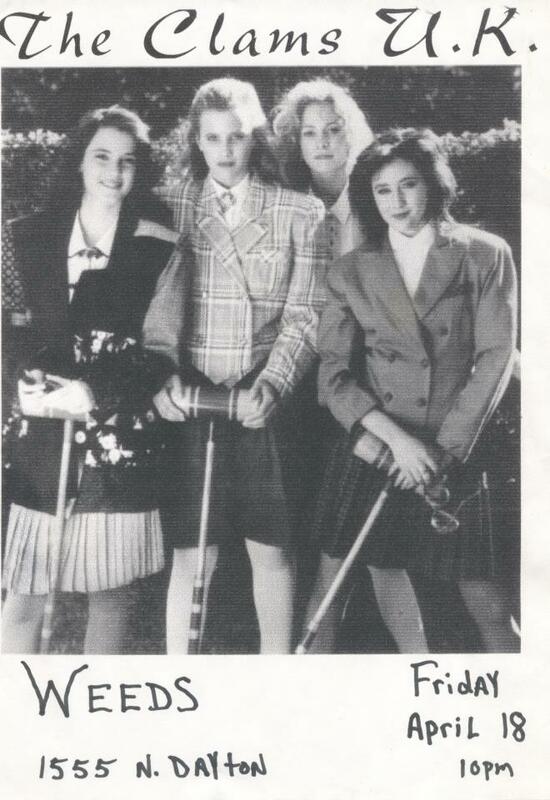 And here are eight of them.